The National President of the Canadian Union of Public Employees, Paul Moist says it's going to be a busy bargaining year for their members. "I think we have 154 collective agreements in Saskatchewan, 108 of them are open, or they are coming open some time in 2012, including about half the membership in Saskatchewan. Our goal in every round of bargaining in Saskatchewan is to get a collective agreement." Moist was attending CUPE Saskatchewan's 47th annual convention being held in Saskatoon over the next couple of days. He says health care is the biggest public policy issue in Saskatchewan and recent polls suggest to them that people in Saskatchewan want more public health care services, not private ones. President of the Saskatchewan Federation of Labour, Larry Hubich was at the conference, and says he is willing to sit down with the government to develop a new Essential Services Act, but he won't do it on bended knee. "When one party or the other is at a distinct disadvantage, then you don't develop good public policy, and you don't achieve good, sound agreements. It's important for us to defend our rights, but it's also important for us to engage on a level playing field, as equals with the government." The Essential Services Act was deemed unconstitutional by the courts about 3 weeks ago, and the province has been given a year to draft new legislation. If the legislation is not drafted by then, there won't be an Essential Services Act. Hubich says not having an Essential Services Act wouldn't be a problem, pointing to Nova Scotia who doesn't have essential services legislation. 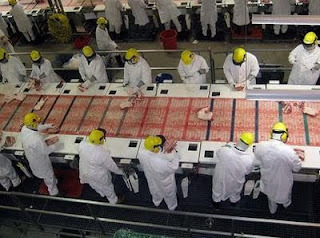 Maple Leaf's pork processing plant in Brandon, Manitoba, is the largest in the country. While it has brought jobs, serious concerns have been raised about whether it's at the cost of good wages and a healthy environment. The meatpacking industry once provided thousands of Canadian workers with a decent living wage. Thanks in part to globalization the industry now employs far fewer people at wages that have essentially been frozen since the mid-1980s. These days, many meatpacking employees are temporary foreign workers who must sign restrictive contracts with their employer for a chance at attaining Canadian citizenship. Though the Canadian labour movement’s postwar political, economic and social achievements may have seemed like irrevocable contributions to human progress, they have proven to be anything but. Since the mid-1970s, labour’s political influence and capacity to defend, let alone extend, these gains has been seriously undermined by the strategies of both capitalist interests and the neoliberal state. Electoral de-alignment and the decline of class-based voting, bursts of unsustained extra-parliamentary militancy and a general lack of influence on state ac- tors and policy outcomes all signal that the labour movement is in crisis. Despite much experimentation in an attempt to regain political clout, labour continues to experience deep frustration and stagnation. As such, the labour movement’s future political capacities are in question, and the need for critical appraisal is urgent. Understanding how and why workers were able to exert collective power in the postwar era, how they lost it and how they might re-establish it is the central concern of Rethinking the Politics of Labour in Canada. With essays from established and emerging scholars from a wide range of disci- plines, this collection assesses the past, present and uncertain future of labour politics in Canada. 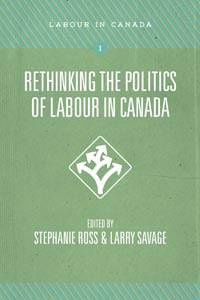 Bringing together the traditional electoral-based aspects of la- bour politics with analyses of the newer and rediscovered forms of working-class organization and social movement-influenced strategies, which have become increasingly important in the Canadian labour movement, this book seeks to take stock of these new forms of labour politics, understand their emergence and assess their impact on the future of labour in Canada. STEPHANIE ROSS is an assistant professor and coordinator of the Work and Labour Studies Program in the Department of Social Science at York University. LARRY SAVAGE is an associate professor of political science and labour studies at Brock University. Lester Pearson enjoys iconic status in Canada as a former prime minister, Nobel Peace Prize winner, and particular acclaim as the father of peacekeeping. The Nobel Prize site notes “his diplomatic sensitivity, his political acumen, and his personal popularity.”1 The myth of Pearson is so ingrained that most Canadians have bought into it. 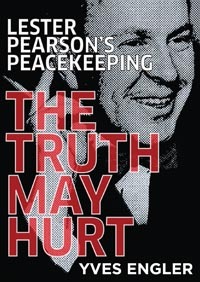 Noam Chomsky, however, considers Pearson a “major criminal, really extreme.”2 Chomsky wrote the foreword to Yves Engler’s latest book: Lester Pearson’s Peacekeeping — The Truth May Hurt. The International Consulting Services poll revealed that if the presidential elections were held tomorrow in Venezuela, 58.2% would vote for Hugo Chavez. “The confrontation here isn’t between Chavez and this little man, it’s the bourgeoisie against the people, the empire against the country”, Venezuelan President Hugo Chavez said on February 16. 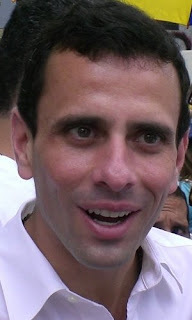 Chavez was referring to his newly-nominated presidential opponent, Henrique Capriles Radonski. He was pointing to the class battle that lies behind the looming presidential elections scheduled for October 7. Radonski, a 39-year-old lawyer and governor of Miranda state, won the endorsement of the right-wing Democratic Unity Forum (MUD) bloc on February 12. He won with 62% of 1.8 million votes in a primary process marked by allegations of irregularities. The MUD used the National Electoral Commission (CNE) to run its primaries despite for years claiming the CNE is a fraudulent, corrupt tool of the Chavez government. The MUD's publicised participation figures were revealed to be mathematically improbable. As the NDP chooses a new leader , more than a decade after Seattle, a new era of global protest has dawned, from the Arab spring to anti-austerity protests in Europe, and the global Occupy movement, which has put the issue of growing economic inequality squarely on the table. Years of recession and financial crisis have discredited neoliberalism’s promise of increasing prosperity. Liberal democratic political systems are paralyzed, where they are not accelerating the very policies that precipitated the crises. The spectre of climate change looms ever more ominously. Yet as the planetary crises have deepened and protest has erupted, social democratic politics have grown steadily more shallow and short-sighted, and ever more detached from social struggles, mounting at best a rearguard defense of an already weakened welfare state against ruling powers that grow more authoritarian, retrograde and militarist by the day. The NDP is no exception here, and so far, none of the leadership candidates have said anything to suggest that this will change. Jack Layton professionalized the party and pulled it to the right as electoral successes were seen by many to vindicate his approach. Coherent political vision was replaced with poll-tested micro-targeting, milquetoast language about “working families” and the “middle class” along with populist anti-tax campaigns, the promotion of cap-and-trade and soft environmental regulations – policies which do nothing to address the burgeoning social inequalities and ecological catastrophes facing this country. A 21st-century land rush is sweeping the globe. 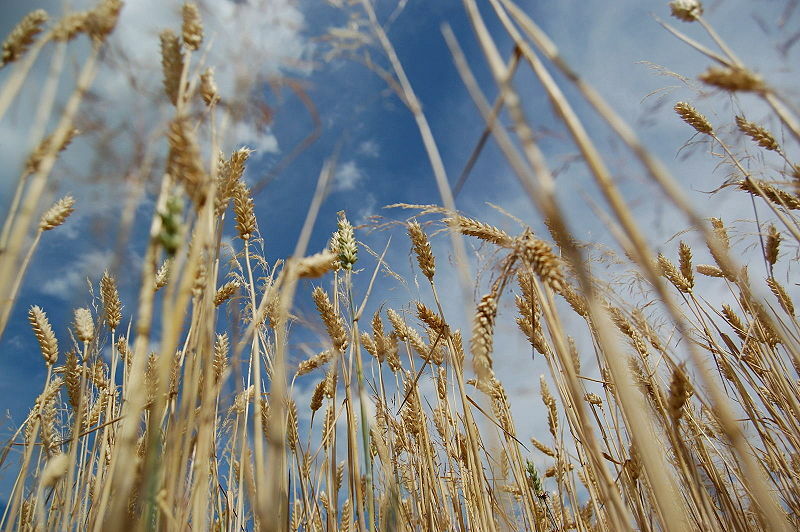 Amid skyrocketing food prices, climate-related instability, and declining soil and water resources, wealthy investors have begun to size up the world’s farmland as both an investment opportunity and a hedge against food crises and political turbulence. 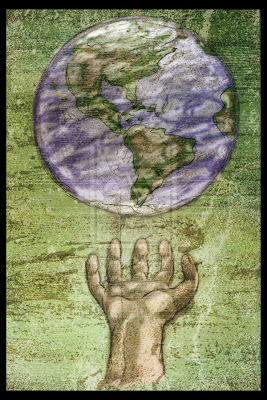 Players in this global land grab include individual, institutional, and corporate investors, as well as governments. And although estimates vary widely, large-scale land deals have seen at least 71 million hectares change hands since 2000. For many investors, farmland acquisition – either through purchase or lease – offers a chance to profit from rising agricultural commodity prices. Such investors take a direct hand in farm production, typically on large plantation-like operations, with an eye to profiting from high prices for food, fibre, and biofuel crops. Rising food prices have also encouraged governments of countries such as Saudi Arabia, South Korea, and Egypt to lease huge tracts of land, mostly in Africa, as a means of securing food for their own populations. Producing food offshore allows capital-rich but land-poor countries to bypass volatile global food markets and guard against food riots and related political instability. It is always amazing to observe the ignorance of the Canadian left when it comes to Quebec politics. The reasons for this, I believe, are similar to what blocked the English left over Ireland for decades, as well as the French left over their African empire. It is costly in the short term to oppose its "own" imperialism, because it is supported by a very wide popular colonial mentality. But in the long term, it is deadly. In any case, here we have a NDP campaign that is going nowhere, unfortunately. More than that, the front-runner is now an ex-Liberal Minister who was known for his trade-union bashing and his love of free trade agreements, not to mention his "affair" with Israel (as it has been noted recently by rabble contributors ). 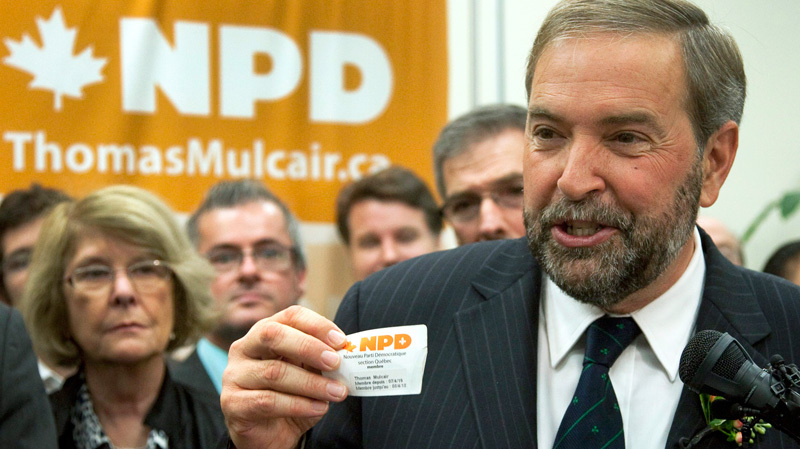 Mulcair was also not only a staunch anti-nationalist, but he even fought hard against Bill 101 (to protect the French language). Even if people tend to forget things, not many people will give him any credibility when he says that he speaks "for Quebec." July 1, 2012, will mark the 50th anniversary of the birth of medicare in Saskatchewan, the forerunner of Canada’s national medicare system. It was not an easy delivery. In the summer of 1962, Saskatchewan was beset by a doctors’ strike intent on preserving physician privileges and opposing public health care. Fifty years later, Canada’s medicare system is again under threat. Harper’s Conservatives have unveiled a plan to scale back health-care funding, destroying medicare as we know it. The ideology of neoliberalism has taken root over the past two decades, and austerity and privatization remain capital’s preferred strategy. But there was a different alignment of political players and social movements 50 years ago when medicare was first fought for. At the 84th Academy Awards ceremony Sunday in Los Angeles, the nearly silent French film, The Artist, and Hugo, Martin Scorsese’s adaptation of a children’s book, each won five awards. The Iron Lady, the misguidedly sympathetic biography of former British Prime Minister Margaret Thatcher, was the only other film to earn multiple awards. The Artist won as best picture, and its director (Michel Hazanivicius) and leading actor (Jean Dujardin) took home major prizes for their efforts. Meryl Streep won her third best actress award for her performance as Thatcher, and Octavia Spencer (The Help) and 82-year-old Christopher Plummer (Beginners) received the awards for best supporting actress and actor, respectively. Most of the films that won top prizes are slight, or worse. The Artist is a clever but simplistic reworking of a theme, the dilemma produced by the transition from silent to talking pictures, that has been much better developed in other films. Hugo is another confused and disappointing effort from Scorsese. The Help reduces the drama of the civil rights era in the South to very small change. 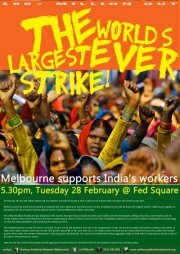 India's biggest display of working class strength for years is due on the 28th of February when 100 million workers take strike action. Sam Beaton analyses this volatile situation. 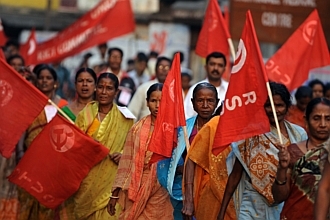 On February 28th over 100 million Indian workers are set to participate in a one-day general strike across the subcontinent – a move branded as one of the largest shows of industrial strength in the world. The twenty-four hour walkout has the backing of India’s main trade unions from across the political spectrum, who in a rare move have united for a national tour in support of the action, and numbers are likely to surpass that of the anti-privatisation strike in 2010; which at that point was the largest worker action taken since the country’s independence in 1947. Action on the 28th will likely affect crucial areas of the nation’s economy, including public sector banks, an aviation sector currently in crisis, mining, and the closure of ports and docks. This pamphlet is undated, Norman Penner, in Canadian Communism, says it was published in April 1941, which is consistent with internal evidence.This pamphlet has been published by the Committee for the Release of Labor Prisoners, Post Office Box 385, Winnipeg, Man. 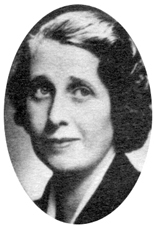 "Their efforts will be written into the pages of our history"
By Mrs. Dorise W. Nielsen, M.P. During the years of depression, the resourcefulness, the energy, the political awakening of Canadian women was something of which I was immensely proud. Now in this time of crisis, my faith and belief in our Canadian women has been both confirmed and strengthened. The women, wives of men interned under Sec. 21 of the Defence of Canada Regulations, who visited Ottawa, have demonstrated their belief in democracy. More than that, they have used our democratic machinery to state their case. It was not an easy thing for some of them to leave home, where in some cases, they were left alone to care for the family. There were difficulties of many kinds, but the fact that these women did appear before the Parliamentary Committee, did obtain an interview with the Minister of Justice, and are now publishing this pamphlet, is a certain indication of their belief in democracy, and their desire to strengthen it in Canada. 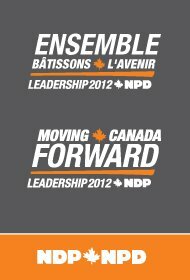 In this I feel sure they will win the respect, consideration and unbiased support of all Canadians. In a revised extract from his introduction to a new biography of Tommy Sheridan, Gerry Hassan exposes the weaknesses of Scotland’s belief in its solid left-wing culture and raises questions for independence and the future. 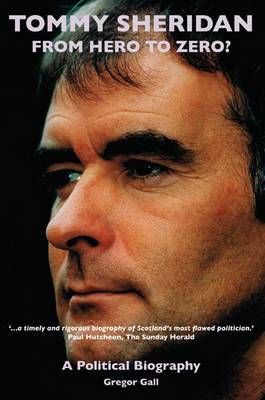 The rise and fall of Tommy Sheridan and the Scottish Socialist Party (SSP) is a gripping morality tale, worthy of fiction, which reflects not just on the central actors and the wider array of participants, but on modern Scotland; the power and limits of personality politics; the role of charisma, belief and hubris; the inherent weakness in hyper-left politics; and not least on the role of a certain kind of Scottish man. Gregor Gall has told this byzantine tale in great detail and with a forensic ability to treat it as fairly as possible, given the many agendas and sense of hurt and betrayal that so many people feel. It can be read as a story of a narrow part of the left which some think was always going to self-destruct. It can also be read as an indictment of the depth and health of the Scottish body politic and asks vital questions about us and the future of Scotland and its politics. The rise of Sheridan and the SSP has to be seen in the context of Scottish politics and culture. The SSP emerged as Militant in the 1980s with a very public role in the struggle against the poll tax. However it made a bigger national impact when New Labour under Blair and Brown bestrode the centre ground. In Scotland, an unsure Lab-Lib coalition held power during the first eight years of the Scottish Parliament, nervous about the shadow of New Labour or breaking free from its influence. 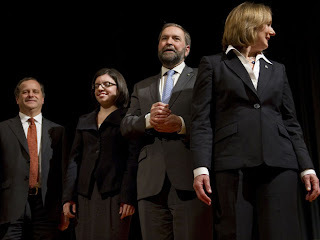 While NDP officials go to great pains to prevent leftists from becoming NDP candidates at election time, they'd do better to spend more time screening the right wingers in their ranks. 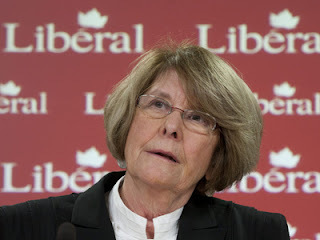 A case in point is Lise St-Denis, who was elected NDP MP in the Quebec riding of St-Maurice-Champlain and who crossed the line to join the federal Liberals on January 10. She was one of 58 NDP rookies to win a seat in Quebec last May 2. Why the sudden decision to bolt, after St-Denis spent a decade volunteering for the party? 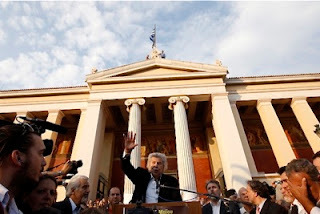 Composer and resistance icon Mikis Theodorakis lambastes the joint strategy devised by Greek politicians and financial institutions with the objective of pillaging the country. He explains how Greece was gradually put under IMF tutelage by Dominique Strauss-Khan and former Prime Minister Papandreou. While the Western media point the finger at Syria, Russia and China, a financial government has taken over the reins of power in Greece and in Europe. There is an international conspiracy whose target is the complete destruction of my country. They began in 1975 aiming at Modern Greek civilization, continued with the distortion of our modern history and our national identity and they are now trying to eliminate us biologically as well through unemployment, hunger and impoverishment. 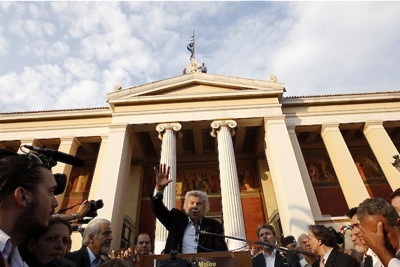 If Greek people don’t rise as one in order to prevent them, the danger of Greece becoming extinct is evident. I place it within the next ten years. There will be nothing left of us but the memory of our civilization and our battles for freedom. How do we change the world? This is the question asked by thousands of people intent on changing things, the question that is often repeated in alternative social gatherings — a question that the French philosopher Daniel Bensaïd said has no answer: ‘Make no mistake, no one knows how to change the world.’ We do not have an instruction manual but we do have some hints on how to do it and some working hypotheses. But it is also necessary to build political alternatives that go beyond social mobilization, since we cannot just be a lobby of those who rule. It is necessary to formulate alternative policy options which have their centre of gravity in social struggles, antagonistic to today’s ruling class. We are well aware that the system cannot be changed from within the institutions but rather from the street, but we cannot give up spaces that also belong to us. The medals awarded to Tommy Douglas, the former Premier of Saskatchewan, will be on display in Regina. Shirley Douglas, the daughter of Tommy Douglas, will lend her father’s medals to the Regina Coin Club so they can be displayed at their show on April 21-22. The 19-piece set of medals, awards, military insignia, photographs and letters include a1937 Coronation medal engraved to Tommy Douglas when he was a Member of Parliament for Weyburn, a 1953 Coronation medal engraved while he was Premier of Saskatchewan, a 1937 Coronation medal engraved to his wife Irma Douglas, as well as the military medals from the Boer War and the World War I awarded to Tommy’s father, Thomas Douglas Senior. In addition, the Protocol Office of the Ministry of Executive Council of the Province of Saskatchewan will lend the Order of Canada and Order of Saskatchewan medals that were awarded to Tommy Douglas so they can be seen at the coin show. 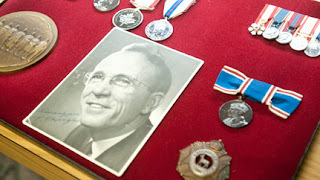 This will be the first time that all of the medals awarded to Tommy Douglas will be displayed in one place. To most Canadians, Tommy Douglas is considered the Father of Medicare. So strong are the feelings Canadians have for the founder of Medicare that in 2004, Canadians voted overwhelmingly for Tommy Douglas as “The Greatest Canadian That Ever Lived” in a contest conducted by the CBC. The Douglas collection will be on display at the Regina Coin Club spring show, April 21-22. The show takes place at the Wilfred Orr Centre (formerly known as Western Christian College) located at 4400-4th Avenue near the corner of Lewvan Drive. The show is in the gymnasium with the doors opening at 10:00 am on both days. The Tommy Douglas medals will not be the only items that collectors can expect to see at the show. Coin and stamp dealers from across Canada will have plenty of coins and stamps for sale at the show. OTTAWA - Trade unions remain a force to contend with in the NDP leadership contest, even though they've been stripped of their financial clout and voting heft. They provide candidates with access to their thousands of members and lend them considerable organizational muscle. They also bring moral suasion to bear on party members who still cherish the NDP's traditional ties to trade unions, which were founding partners in the party 51 years ago. Hence, endorsements from unions, or from individual labour leaders, are coveted by leadership hopefuls. 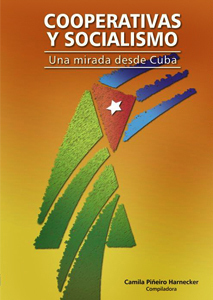 Cooperatives and Socialism: A Cuban Perspective is a new Cuban book published in Spanish earlier this year. This important and timely compilation is edited by Camila Piñeiro Harnecker. Avid readers of my blog will recall that I translated and posted a commentary by Camila, titled "Cuba Needs Changes", back in January. Camila lives in Cuba and has a degree in sustainable development from the University of Berkeley, California. She is a professor at the Centre for Studies on the Cuban Economy at Havana University, and her works have been published both in Cuba and outside the island. Camila hopes her book may be published in English soon. In the meantime, she has kindly agreed to allow me to translate and publish this extract (about a third) from her preface to Cooperatives and Socialism with permission from a prospective publisher. I hope that sharing this extract with readers of my blog will make you want to read the whole book. If it does become available in English I'll post the details here. If you read Spanish you can download the 420 page book as a PDF here. At the end of the text you'll find the footnotes, translated from the Spanish, followed by the table of contents. Canada is one Senate vote away from becoming the most regressive Western democracy on criminal justice. That unenviable position has most recently been occupied by the United States. But even though some of the most conservative Republicans are now arguing against over-incarceration, Canada continues to pursue that objective. Americans have recently recognized that incarcerating 2.3 million people does not reduce the crime rate. Consequently, state after state has rolled back mandatory minimum sentences, draconian penalties, harsh parole eligibility and so on. Canada, on the contrary, is implementing all of these, plus mean-minded pardon and international prisoner transfer provisions. A variety of constituents, including some surprising ones, have pleaded with the Conservative government to rethink its tough-on-crime agenda. 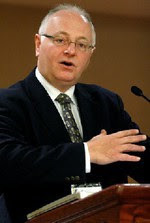 Correctional officials, police chiefs, medical associations, victims advocates, prison guards, former attorneys-general and justice ministers, lawyers and judges and criminologists, people who have spent their lives learning what works to reduce crime—all of these have warned against the consequences of Bill C-10. 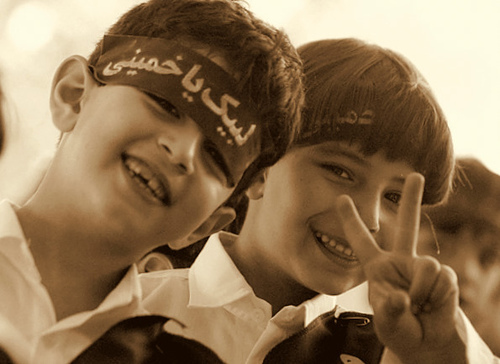 Conflict that could escalate into warfare, especially nuclear warfare, threatens us all. 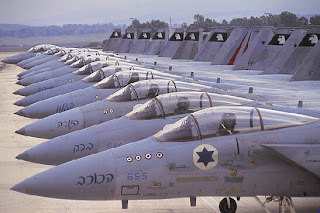 Sabre-rattling is again occurring in the Middle East, where Israel already has nuclear weapons and there is the fear of Iran and perhaps Saudi Arabia following suit. We can’t allow such a nuclear arms race and a new Cold War to happen. To help avert this, our beliefs about what’s happening need to constantly be re-evaluated; we need to resist the trap of thinking if “you’re not with someone you are against them”. 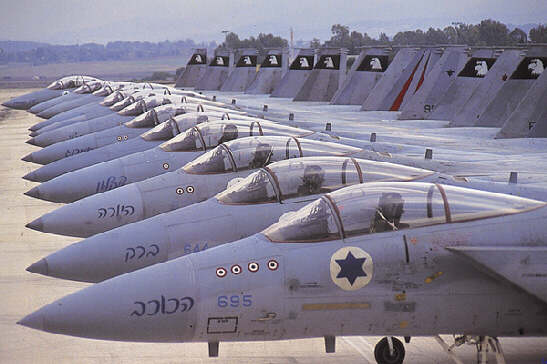 The Harper government is a strong backer of Israel’s practices. Israel is presented as the victim in a hostile Arab world which must be defended at all costs to preserve democracy and civilization. This view reflects an extremist ideological lens with an undertone of Christian fundamentalism that distorts the reality on the ground. In a similar way to how Harper’s government introduced legislation threatening internet privacy without a warrant, with a “you are either with us or with the child pornographers” view, his policy on Israel implies “you are either with Israel or the anti-Semites”. Thomas Frank, ex-Wall Street Journalist turned liberal political savant, is currently the darling of the airwaves for NPR and Democracy Now fans. 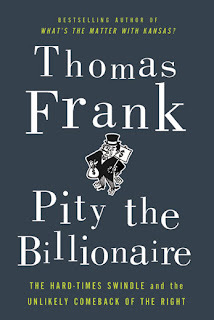 Just Google "Pity the Billionaire," his latest book, and scroll through the pages of reviews and interviews bubbling up since its publication in early January. According to his version of the recent past, some three years ago the ruling class was facing angry busloads of inner-city residents shouting across manicured lawns in commuter-line gated enclaves. There was talk of "clawback" and criminal prosecutions. The sound of the tumbrels was in the streets and images of the guillotine kept them awake at night. Yet within months the right-wing populism of the middle-class had reared up in the guise of the tea party and, in 2010, gave Republican politicians the biggest electoral landslide in decades. The received wisdom of the pundits was, at least briefly, he says, that the left would have a resurgence and that we were entering a progressive florescence like the 1930s. But in less than an interrupted heartbeat, the bourgeoisie was on the offensive again, screeching plaintively about "class war" and calling for economic social Darwinism with "let the failures fail." THERE MAY be an Irish political anorak with an interest in the recent presidential election in Finland, but there are surely not two of us. Yet that election was a vivid illustration of the great strangeness of contemporary European politics. For the last 30 years, the Finnish president has been a social democrat. This time, the social democratic candidate, a former prime minister, got just 6.7 per cent of the vote. The conservative candidate won in a landslide, with 62 per cent. As ever, there were specific local factors at work. But the Finnish election was also entirely consistent with a much larger pattern: the eclipse of the traditional mainstream European left. Or, to put it the other way around, the extraordinary dominance of the conservative right in the midst of a profound crisis of neo-liberal capitalism. 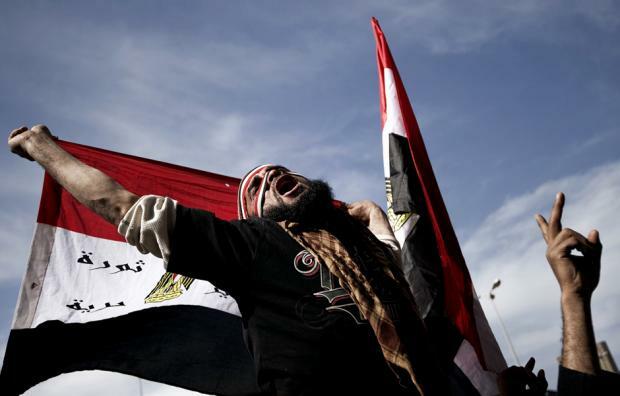 Egypt’s former president has been ousted from office but his policies to protect the rich and corrupt, and many of the people who oversaw them, remain firmly in place. Cairo – "Where has the bread gone?" That is the question in Egypt today. It was largely for bread that the multitudes who took to the streets on January 25 last year first chanted: "Bread, freedom, and social justice!" The people are still chanting, and the bread is still hard to secure. This is largely due to the simple fact that one year after the toppling of President Hosni Mubarak, nothing has changed on the economic front in Egypt. Marching in protest under a sea of red flags swirling in the frosty air at a recent demonstration, 31-year-old Yevgeny can't help but feel that a new generation of Russian socialists is on the rise. And he could be right -- if it weren’t for all the stumbling blocks. In the 1990s, Yevgeny supported the Communist Party but eventually became disillusioned with its colorless and charisma-challenged leader, Gennady Zyuganov, a fixture in Russian politics for decades. Zyuganov is making his fourth run for the presidency in March. Today, Yevgeny says his affinities lie more with the “Left Front,” a loose coalition of leftist groups that are not permitted to field candidates in Russia's tightly managed political system. 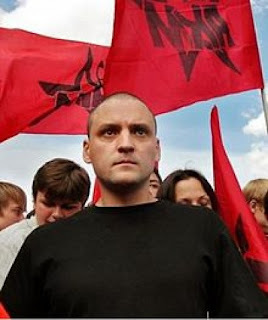 But even if they were, he confesses he would be reluctant to vote for the Left Front's macho leader Sergei Udaltsov whose firebrand style of street protesting may have wounded his political credibility. "I just don’t know, I cannot say for sure. He just doesn't seem to be the kind of leader that I could go and vote for,” said Yevgeny, who did not want to give his last name. The strike has been called because workers have said 'enough is enough', after two years of the government refusing to negotiate with unions on any issue. Indian's are sick of the rich getting richer, record economic growth, whilst 400 million people have not got a pot to piss in. The Drummond Commission reported today. While the McGuinty government prevented the Commission from considering tax rates, it proposes some sensible measures to raise revenue. 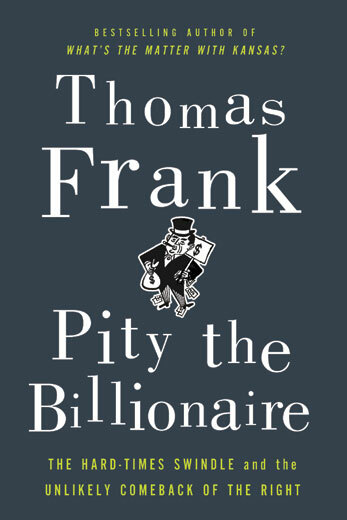 Chapter 18, “Revenue Integrity,” recommends combating corporate tax avoidance and cracking down on the underground economy. Businesses sometimes hire workers as “contractors” to avoid paying Ontario’s Employer Health Tax. Drummond advises the province to deem them as employees. 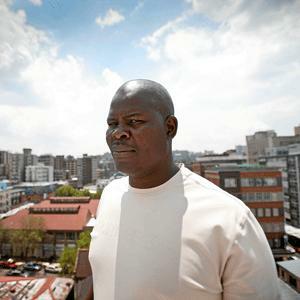 The Commercial, Services and Allied Workers' Union (Cosawu), a small Western Cape-based union with fewer than 2 000 members, is slowly making its presence felt in the increasingly volatile platinum mining sector in North West. When hundreds of former Murray & Roberts employees descended on Arbour Square in Johannesburg earlier this week for what they expected would be the start of a landmark Labour Court case against their former employer, they were stunned to learn that the Metal and Electrical Workers' Union of South Africa (Mewusa) -- which had offered to help them when they were dismissed after an abortive strike at the Aquarius Kroondal and Marikana mines in 2009 -- had thrown a spanner in the works. Something Fierce recently won CBC's Canada Reads 2012 contest. 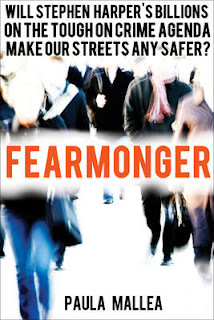 It has been long-listed for the Charles Taylor Prize for Literary Non-Fiction. 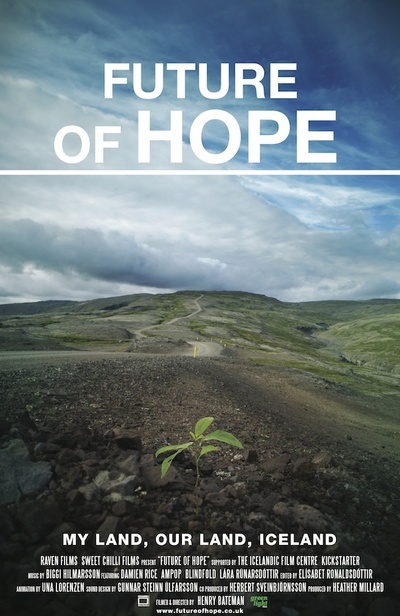 It was also nominated for the BC National Award for Canadian Non-Fiction. Here we offer an appreciation by J. Kavanagh. If I had to limit myself to one word to describe Something Fierce, it would be "raw." Aguirre does not claim that this, her first book, flowed from her pen this way. She credits her editor with always challenging her to be more immediate, more direct. But the story could not have been written without Aguirre's clear recall of so much of her life and her willingness to relive painful experiences. The story is engaging, if not always easy to read. 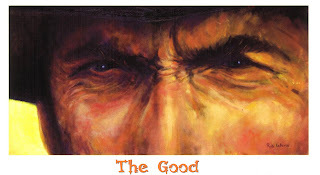 But you will want to keep on reading because she illuminates an experience that most of us will never have first-hand. We see the world through the eyes of a child, then a teenage girl whose parents are involved in the dangerous struggle against the Pinochet dictatorship in Chile. 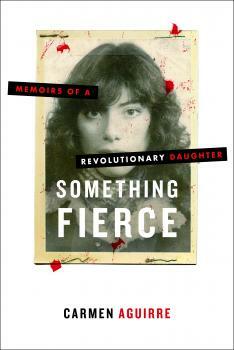 Eventually we see her as a young adult, herself now committed to the revolutionary struggle. 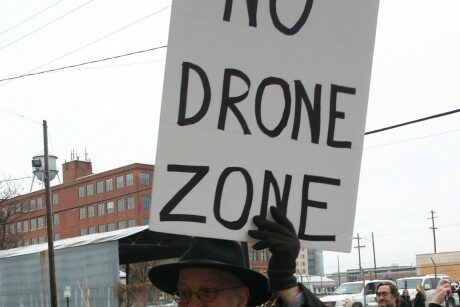 The action places new and significant constitutional arguments in front of the courts. 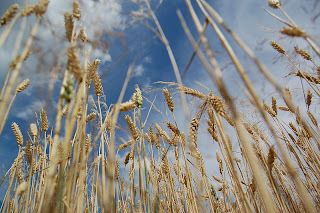 The plaintiffs are four grain farmers, Harold Bell of British Columbia (250) 785-8996 / 262-9278, Andrew Dennis of Manitoba (204) 476-6498, Nathan Macklin of Alberta (780) 957-2583 / 832-3190, and Ian McCreary of Saskatchewan (306) 567-2099 / 561-7838. Heading into the final weeks of the NDP leadership race, the candidates still have not debated the most important challenge facing society—the destructive force of modern-day capitalism. How can a political party that calls itself “social democratic”, or even “progressive,” have a leadership campaign go on for several weeks without candidates—as far as I can determine—discussing the damaging force that capitalism has become? At Davos last month, heads of think tanks and corporations called for the revamping of capitalism because of the destruction the system has wrought. Why pensions should remain a "hot topic"! “Pensions” have been the hot topic on coffee-row ever since Harper announced his plan to cut Old-Age Security (OAS). I can’t remember as many people engaging me about my R-Town column as on this. 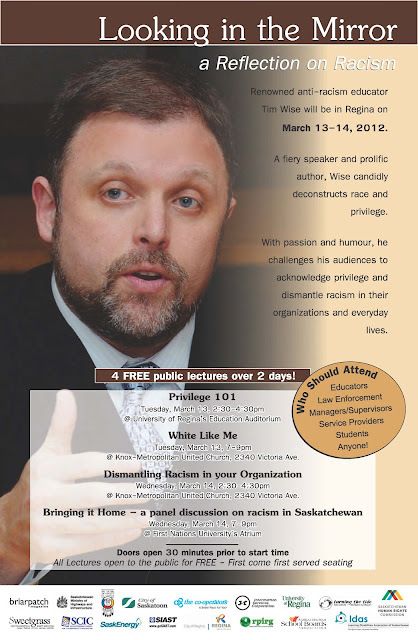 This is good for we’re going to need all the public participation we can muster to convince Harper to back-off. And it’s mandatory that our collective memory about this lasts until the 2015 election. 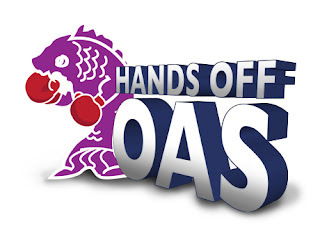 Canadians needing OAS at that time will be much more vulnerable unless Harper is stopped in his tracks now. Συνέντευξη: Η Naomi Klein για την κυβέρνηση Παπαδήμου from ThePressProject on Vimeo. One of our era’s foundational myths is that globalization has condemned the nation-state to irrelevance. The revolution in transport and communications, we hear, has vaporized borders and shrunk the world. New modes of governance, ranging from transnational networks of regulators to international civil-society organizations to multilateral institutions, are transcending and supplanting national lawmakers. Domestic policymakers, it is said, are largely powerless in the face of global markets. The global financial crisis has shattered this myth. Who bailed out the banks, pumped in the liquidity, engaged in fiscal stimulus, and provided the safety nets for the unemployed to thwart an escalating catastrophe? Who is re-writing the rules on financial-market supervision and regulation to prevent another occurrence? Who gets the lion’s share of the blame for everything that goes wrong? The answer is always the same: national governments. 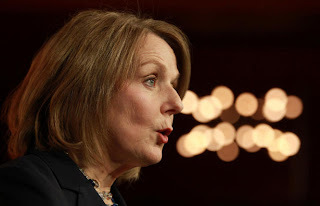 The G-20, the International Monetary Fund, and the Basel Committee on Banking Supervision have been largely sideshows. On Sunday 12 February 2012 the people of Greece, in demonstrations and street fights all over the country expressed in a massive, collective and heroic way their anger against the terms of the new loan agreement dictated by the EU-ECB-IMF Troika. Workers, youths, students filled the streets with rage, defying the extreme aggression by police forces, setting another example of struggle and solidarity. 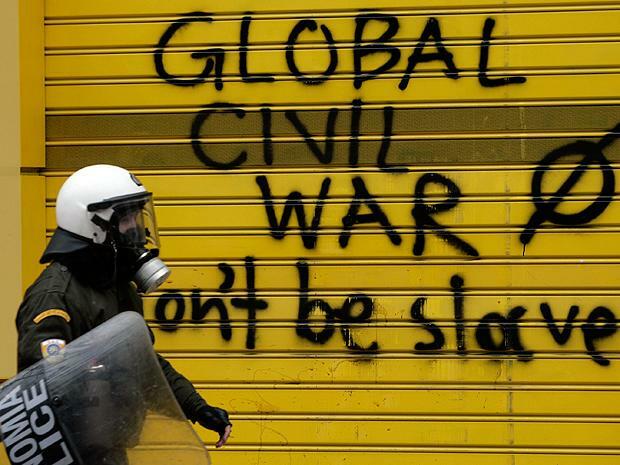 Greece is becoming the test site for an extreme case of neoliberal social engineering. The terms of the new bail-out package from the European Union, the European Central Bank and the International Monetary Fund, the so-called Troika, equal a carpet bombing of whatever is left of collective social rights and represent an extreme attempt to bring wage levels and workplace situation back to the 1960s. 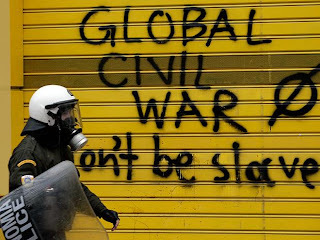 While the negotiations between the Greek government, IMF and the EU over debt swap with private creditors continue, new anti-austerity resistance movements are being born. This time the initiative belongs to prominent personalities of the Greek left who yesterday declared the creation of the 'United Popular Democratic Resistance' -- E.LA.DA. in Greek, an acronym which literally means "Greece". 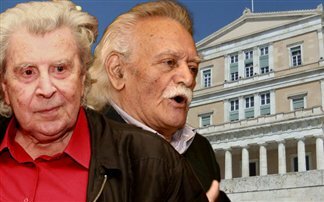 The idea belongs to two legendary figures of the country's modern history: the internationally renowned composer Mikis Theodorakis and Manolis Glezos, a Second World War resistance hero. Speaking to an audience at Athens's Michael Cacoyannis Foundation, they both declared that the establishment of a nationwide resistance movement against the economic austerity and policies consstitutes a "national need", as long as Greece is passing through a "national tragedy". The philosophy and experience of 1960s/70s radical movements are in several ways complementary to the ideas of the direct action movements of today. Hilary Wainwright examines the possibility of forging a new kind of political economy by learning from the best of both. The ability of the Occupy movement to create platforms outside our closed political system to force open a debate on inequality, the taboo at the heart of the financial crisis, is impressive. It is a new source of political creativity from which we all have much to learn. At the same time, no veteran of the movements of the late 1960s and 1970s can help but be struck by similarities. There’s the same strong sense of power from below that comes from the dependence of the powerful on those they dominate or exploit. There’s the creative combination of personal and collective change, and the bringing together of resistance with experiments in creating alternatives here and now. There’s the spurning of hierarchies and the creation of organisations that are today described as ‘horizontal’ or ‘networked’ – and that now with the new techno tools for networking have both more potential and more ambiguity. Would it be easier to create a sustainable global economy if the world more closely resembled the demographics and geography of Iceland — a volcanic island with a manageably small population and a unique abundance of renewable energy? 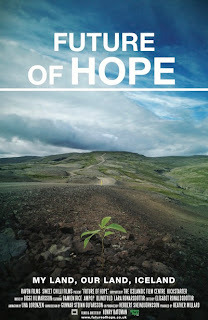 This was among the many questions raised during a panel discussion at Tipping Point Film Fund’s UK premier of Future of Hope, often referred to as the Iceland documentary. Since the Nordic country experienced the systemic failure of its entire banking sector in 2008, a number of Iceland’s senior banking executives have been arrested, sacked or sued. Grass roots organisations, including the Ministry of Ideas that was featured in the film, have since hosted a National Assembly of unprecedented scale. The government-backed Assembly was designed to focus specifically on the nation’s next steps; to agree on a set of collective values and to establish a clear vision for how to rebuild their economy from the ashes of the old. While the film did not focus on the Assembly itself, progressives would not be surprised by its outcome: participants emphasised the importance of robust public services, establishing an environmentally responsible and sustainable economy, and ensuring equality and transparency in the country’s future renaissance. ‘Monti is succeeding where Berlusconi failed’ read a headline line in yesterday’s radical il manifesto newspaper. The depressing news announced by the communist title was that liquidators were coming in. The state subsidy that supports the non-profit making press had been cut so much by Italy’s current and previous prime ministers that the newspaper could no longer pay its bills. The options now are closure, or sale, unless a huge financial black hole can be filled soon. The calamity that has befallen il manifesto comes hot on the heels of the demise on January 1 of Liberazione, the newspaper of the Communist Refoundation Party. In a country that once had the largest marxist party in Western Europe, is it the end of the communist daily press? To be sure, il manifesto, a minnow compared to capitalist media giants owned by the Berlusconi, Agnelli and De Benedetti family groups, has always had a struggle to survive in its 40-year history as an independent radical voice for millions of communists, progressives and trade unionists. Empires vary: of conquest, of settlement, of trade; contiguous and maritime. Empires abound: a long list, longer even than many books on empire admit to. Wikipedia lists over 200 empires from the Akkadian Empire of Sargon the Great in the 24th century BCE to today’s American Empire. In terms of territory the largest are the Achaemenid, the Han and the Roman in ancient times, the Mongol and the Yuan Dynasty in medieval times, and the British, the Russian, the Spanish, the Qing and the French in modern times. 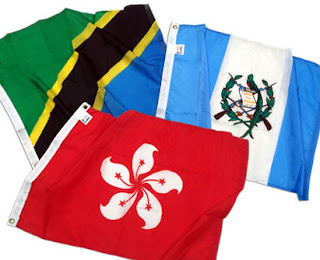 Round up the above with the Incan and the Aztec from the Americas, the Mauryan in India, the Zulu in sub-Saharan Africa. It is evident that empire is a world-wide phenomenon, thriving in diverse cultures over the millenia. The nation-state is no more than a late arrival. Yet economists still have difficulty with the word “imperialism,” and insist that trade is based on comparative advantage among independent countries. The real world is one riddled with asymmetries of power – that being inherent to empire- where politcal economy, precisely because of its explicit recognition of power, trumps orthodox ecoomics with its a-political methodology. 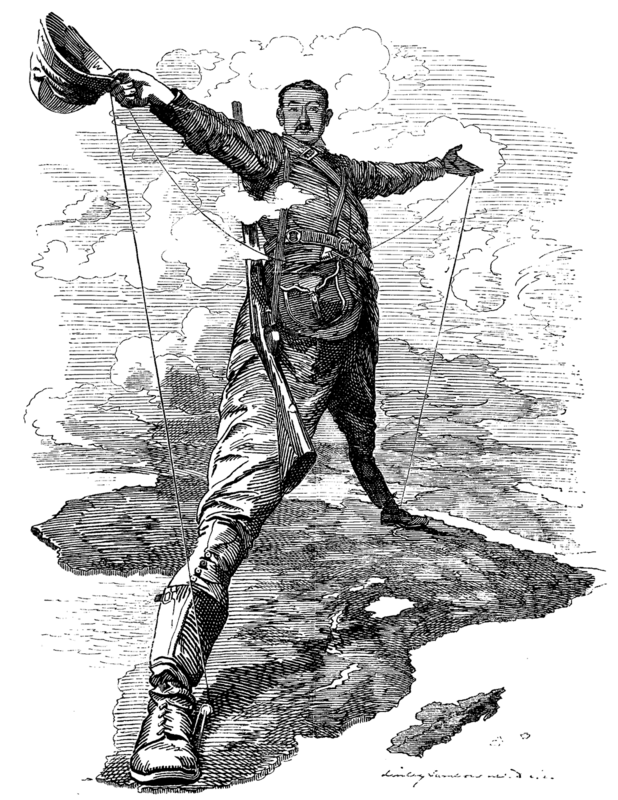 In fact, the rationale for empire is typically to monopolize trade. “Trade theory,” built on Ricardo’s two-country model – which pervades introductory economics textbooks – misleads students, and their professors, and needs to be rethought. Ricardo’s two countries, England and Portugal, were. as we all know, both imperial centres. Yet orthodox economics deems that irrelevant. In 1968, in Yorkville (Toronto), the NFB provided a group of hippies with cameras, film and a few NFB film crew members so they could make a film illustrating their lives and their world. The result is a frustrating yet strikingly beautiful testimony to a protest era not unlike our own. Johana Tablada, the deputy director of the North American Division of the Cuban Ministry of Foreign Affairs, granted us an interview to discuss the US economic embargo against Cuba, which has just marked its 50th year of remaining in place under ten US presidents. 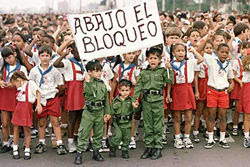 Q: One of the arguments given by the proponents of the embargo is that it’s an excuse used by the Cuban government to explain all of its own mistakes. A: If it’s an excuse then why not lift the blockade? Why not remove it and let life tell us where the truth lies? They’re not lifting it because it’s a way of putting pressure on us, a way of persecuting us. Then they step back and say, “Look how badly things are going there.” That’s how it’s been for 50 years now. 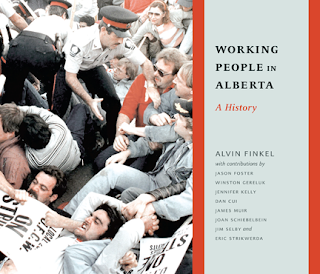 Thirty-three years after the publication of the first book on the history of Alberta labour, Athabasca University Press is releasing a major work that tells the story of Alberta's working people, their trade unions and organizations, and the struggles they went through as they built this Province and its communities. Trade union leaders and activists and the general public are invited to the launch of Working People in Alberta: A History on Friday, February 24th at 3:00 PM in the Main Hall of the Ironworkers Building, 10512 - 122 Street in Edmonton. Published on the occasion of the 100th anniversary of the Alberta Federation of Labour, this new book provides a much-needed update to Alberta Labour: A Heritage Untold, written by Warren Caragata in 1979. 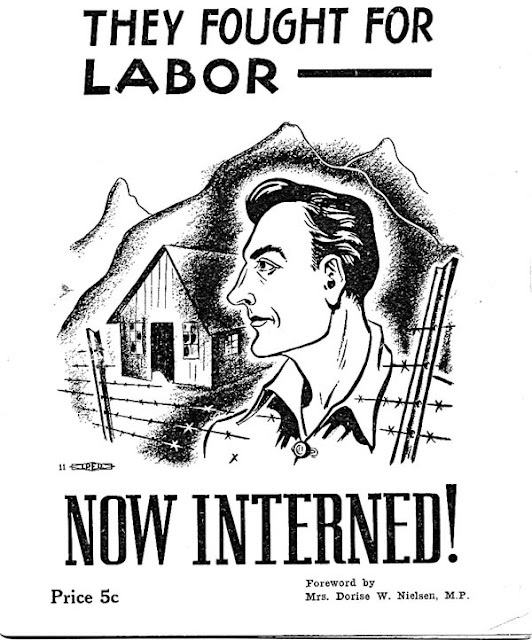 Working People in Alberta contains over 300 lavishly-illustrated pages, and was produced by members of the Alberta Labour History Institute (ALHI) as part of Project 2012, a 5-year partnership with the Alberta Federation of Labour (AFL) to produce educational and historical materials in preparation for the AFL's Centennial in 2012.